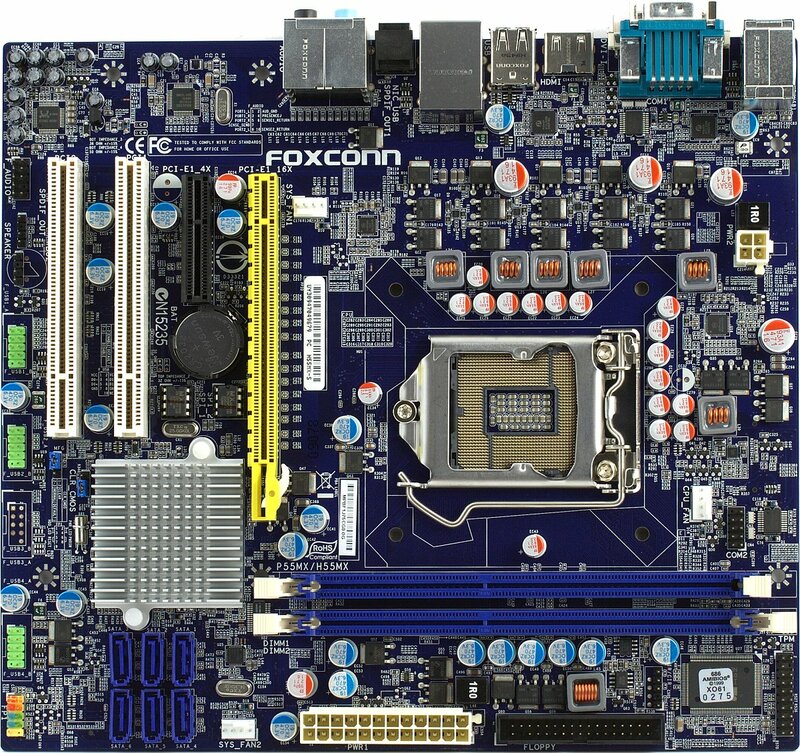 Today we shall review the Foxconn H55MX-S motherboard based on the Intel H55 chipset. The company has been making inexpensive products of late, so it only has a couple of more or less top-class Socket 1156 motherboards -- the P55-based Inferno Katana series. The rest are typical value products, but the price is quite nice. The H55MX-S we're reviewing today is not an exception. This microATX motherboard has basic, even a bit cut-down, functionality and is sold for an adequately low price. 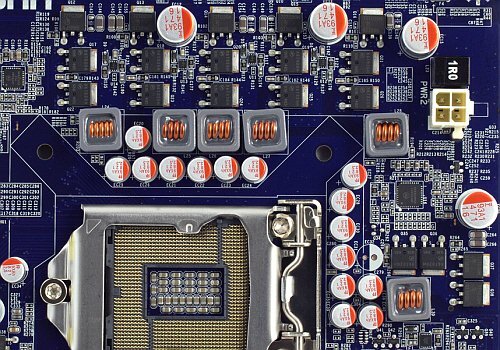 At the same time, it looks quite feature-rich on the background of other Foxconn H55-based motherboards -- it has an HDMI output, other differences being minor and a kind of chaotic. Assembling a rig with this motherboard may not be very convenient, because slots and connectors are too close to each other. E.g., graphics card obstructs installed memory modules. But we don't believe it's a serious drawback. The CPU VRM has 4+1+1 phases: 4 for the core, 1 for the uncore (memory controller included), 1 for the built-in graphics accelerator. All converters, including memory modules power converter, have at least 3 MOSFETs per phase. 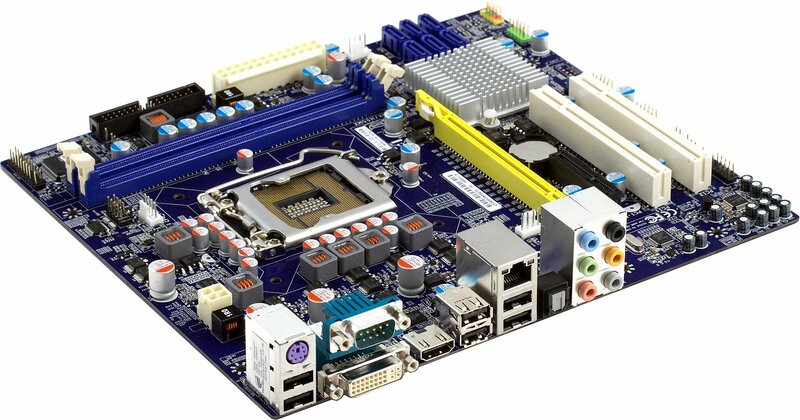 This is a standard for inexpensive motherboards and, of course, it's not meant for serious overclocking. At the same time, H55MX-S has high-quality polymer capacitors of Nichicon make -- one thing we hardly expected to see in a value motherboard. 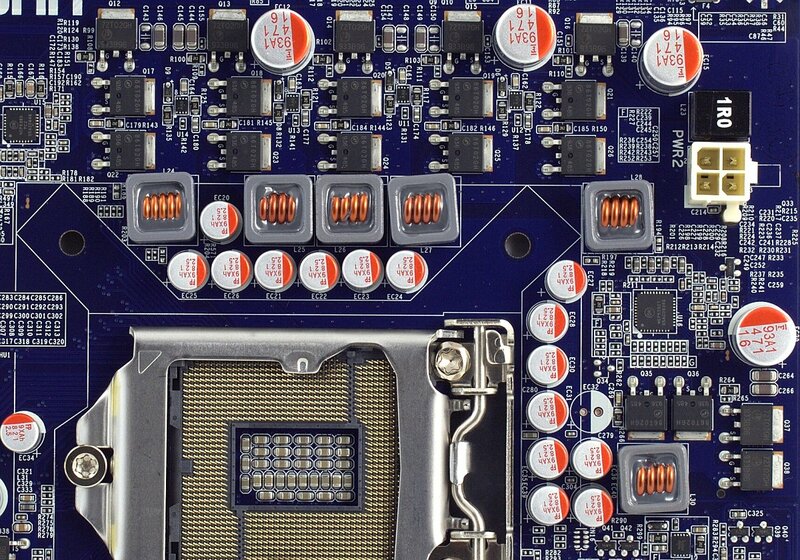 Foxconn H55MX-S has a simple cooling system. The chipset has a low-profile heatsink, which is, however, quite enough for a low-power Socket 1156 chipset. The CPU power converter isn't cooled at all, but there should be no overheating issues, provided that there are enough MOSFETs. 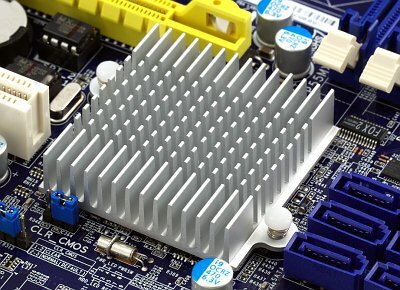 If you make sure that CPU cooler drives air to the backpanel, even at low speed, the motherboard won't require any other cooling means whatsoever.